I have lived in Evansville, IN my entire life. Growing up and spending the day with my granddad while both of my parents worked was the best. We would shoot 22s in the backyard all day (don’t worry it was out in the country). My granddad was a Marine in WWII and was quite the rifleman. He began to teach me to shoot and maybe even a few bad habits I cannot break to this day when it comes to shooting. In 2009, I bought my first precision rifle, or so I thought it was. It was a Savage Model 10 in 308 Win. 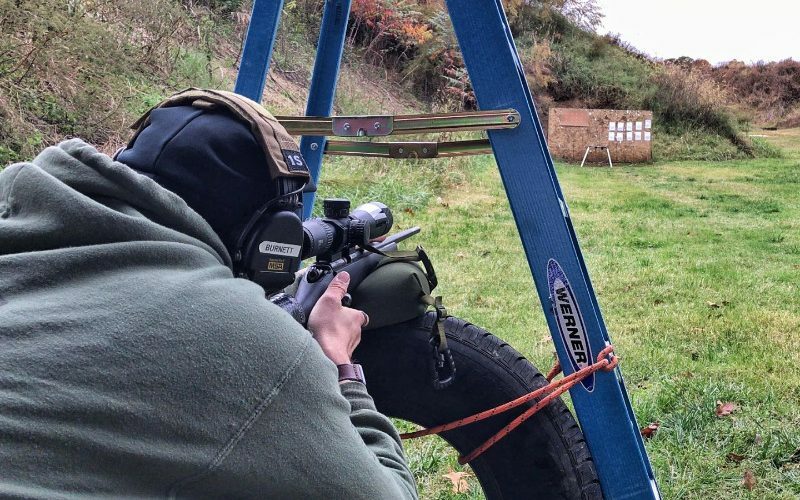 I soon went to a local precision rifle match, and while I didn’t do very good, I was hooked. That rifle quickly was modified with all the typical additions for precision rifle matches. 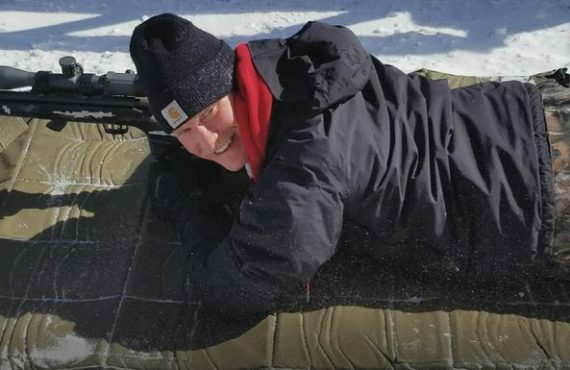 I jumped into the precision rifle shooting with both feet and began to meet some of my best friends and make some of the best memories. While I was in the Boy Scouts of America I earned the rank of Eagle Scout, as well as the Venturing BSA Silver Award and Ranger Award. Oddly enough I never took the rifle shooting merit badge, probably because they wouldn’t let me use my rifle. I work as the security team lead for a local hospital here in town with a career goal of working in the law enforcement field. I am also a NRA Certified Pistol Instructor and Glock Armorer. Outside of shooting I enjoy camping and hiking as well as photography. I still have that first Savage Model 10 and while it has since been rebarreled, for those wondering yes, it is still a 308 Win. It is what started me off in the world of precision rifle and still a very fun rifle. I look forward to seeing NRL22 grow as a sport and hope I have a positive impact on our sport and hope to introduce some new shooters to a shooting sport I enjoy so much. I have been a member of the West Side Sportsman’s Club for several years. Our rifle range has never had a monthly rifle type match and when I heard the podcast from Precision Rifle Media about NRL22 I was excited. I took the idea back to our committee that I serve as the chairman, and it was an easy sell. Our committee jumped in with great enthusiasm and we held our first match in September. My goal from the beginning was to bring a precision rifle match to our local club. Given our range limitations, the NRL22 was a perfect fit. NRL22 also allows new shooters to get into the sport for far less of an investment than typical precision rifle matches. I hope by serving as a Match Director I can introduce new shooters to some form of precision rifle. I always try to have a plan on how I am going to set up each stage on our range. Something I do before the match is to map out each stage, and label what targets and props I need and where I need them. We also have it setup to do online signups, so we can capture the shooters class and NRL22 shooter number before the match begins. I would like to thank James DiMarco at Red Ghost Gun Shop for doing this, it is a huge help. Having as much of the admin side of things done prior to match day allows me to help new shooters prior to the beginning of the match or just be available to answer questions any of the shooters have. During our range committee meetings, we review the CoF for the month and try to identify any pinch points and get a solution in place. Unfortunately, there are still times when we must make an on the fly adjustment, this is when having a great support team of range officers and experienced shooters is key. Some of the best solutions for last minute problems have come from these guys and I owe them all a thank you as I could not do this all alone. You guys make it up our team to pull this off. I just make sure we have what we need to get to pull off a match. 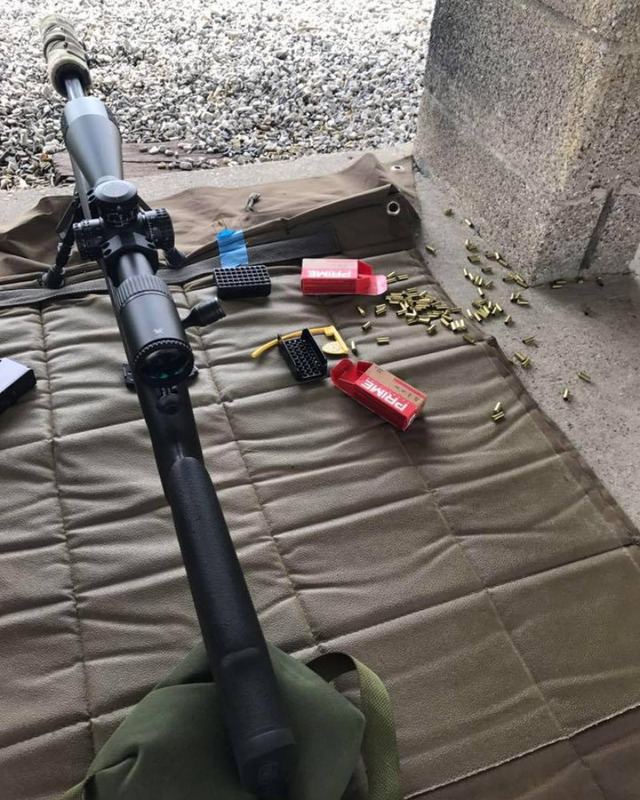 I think the coolest thing about being a match director is to put on a rifle match where new shooters can begin shooting precision rifle competitively, and you get to see what each shooter is using for a rifle and how it preforms. 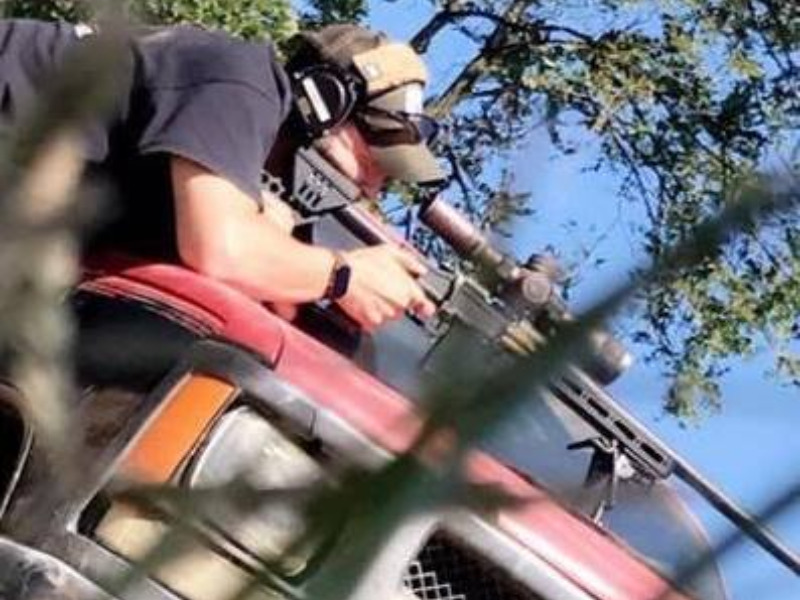 Most shooters have questions about optics and rifles as well as support gear. This has given me the idea to host a NRL22 Train Up in the Spring to get shooters who may be apprehensive about shooting a match where they are on the clock and being scored. I would encourage any perspective shooter to take a rifle along to that match you just plan to watch and jump in and just have fun, I have even had a new shooter run my rifle as theirs was not setup for this type of match. Safety is our number one concern for both the shooters and those around our facility, so I would say a safe but fun match. I want everyone to walk away smiling and ready for the next match. During the sight in period if we have new shooters in the group I always try to be available to help them and answer any questions they may have as well as help them with their gear. NRL22 does a great job of mixing the course of fire up so that new and experienced shooters both have fun. 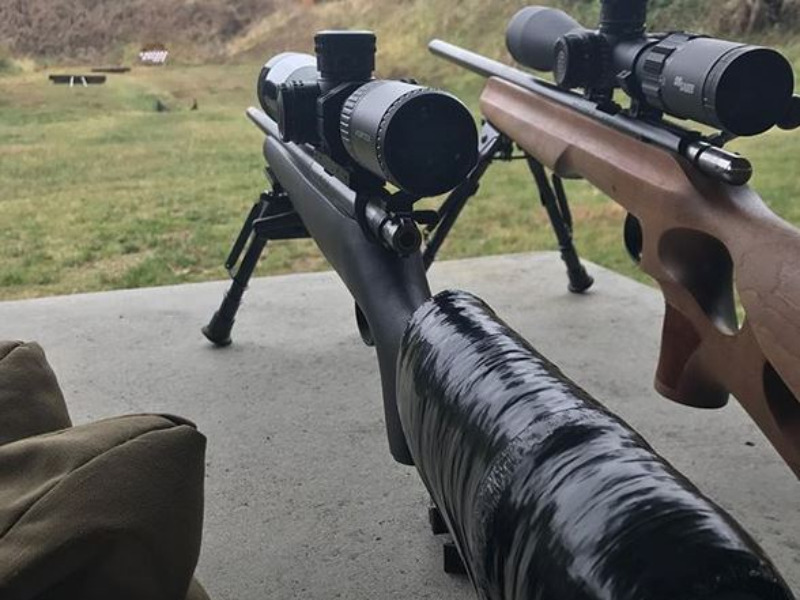 I started this year off planning to shoot a modified Savage Mark II in open class, however after trying many different types of ammunition I could not get the level of accuracy I was looking for. Currently I am working on building a CZ 455, build list is below. The stock CZ 455 has shot extremely well with Prime Bolt + ammunition so far. Again, I only get to pick one. It is a toss up for me. I would have to say my Black Rifle Coffee Company Coffee. Sorry Tom and Melissa the Armageddon Gear Game Changer lost to my coffee. 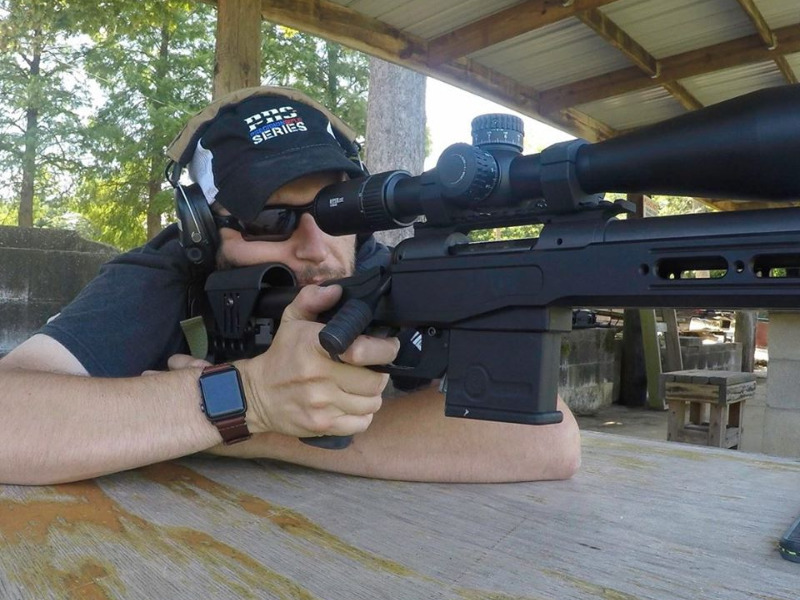 All the cool precision rifles in the world do not mean nearly as much as all the friends I have made in the shooting community. 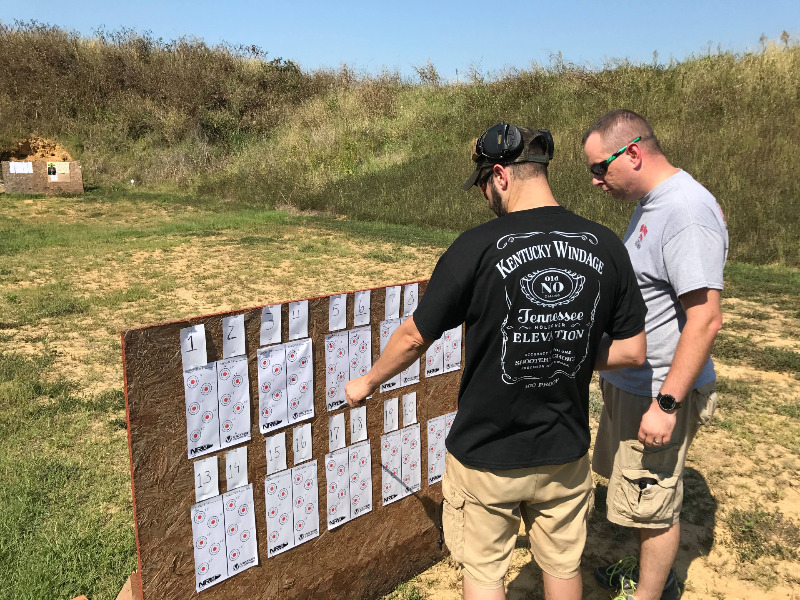 While I always strive to help make our next match better than the last, I would have to say the best match I have ever shot to date is not an NRL22 match and arguably a match I struggled in as a competitor, but Isaac at Southern Indiana Precision hosted and Invitational Match at his range this fall and pulled off a great experience for every shooter. I only hope I can offer such a quality match to every shooter who comes out to the Westside Sportsman’s Club for our NRL22 match. I would also like to say thanks to everyone at WSSC for your support and confidence in being your Match Director and getting this series off the ground. This can be applied to shooting as much as it can be to everyday life. I think this quote reminds me that if we do not continue to push outside of our comfort zone we cannot grow. To relate it to shooting I would say if you struggle with shooting off a certain barricade, then you should get off your shooting mat and push hard to overcome that barricade. The entire membership of the Westside Sportsman Club and our Board of Directors. Key members of our rifle range committee, Daniel Lowery, Brandon Greene, James DiMarco, and Jay Hile. Without your help there is no way I could also be a competitor. John McQuay with 8541 Tactical, your videos are always professional and your help on the range is appreciated. Isaac Frank at Southern Indiana Precision, I have learned so much of the precision rifle world from you, both as a competitor and as a match director. Having all of these guys in my corner is absolutely what it takes to pull off a successful match. These guys are some of the best friends anyone could ever ask for. I am blessed to have this opportunity and hope these guys understand just what their support means to me.